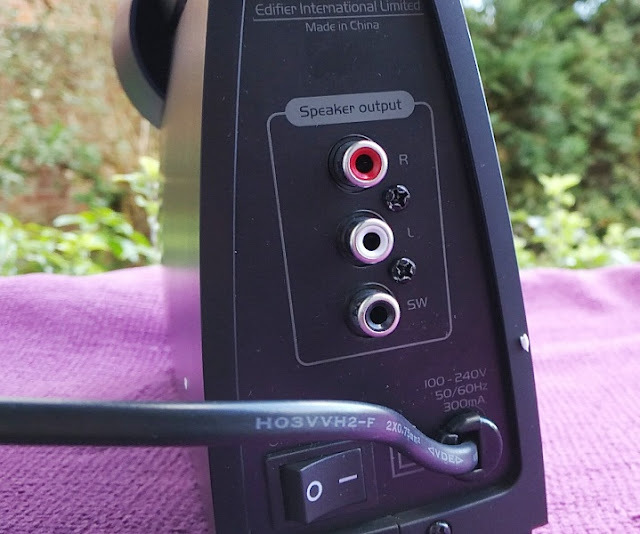 After a long session of gaming and listening to music, wearing headphones can get rather uncomfortable! 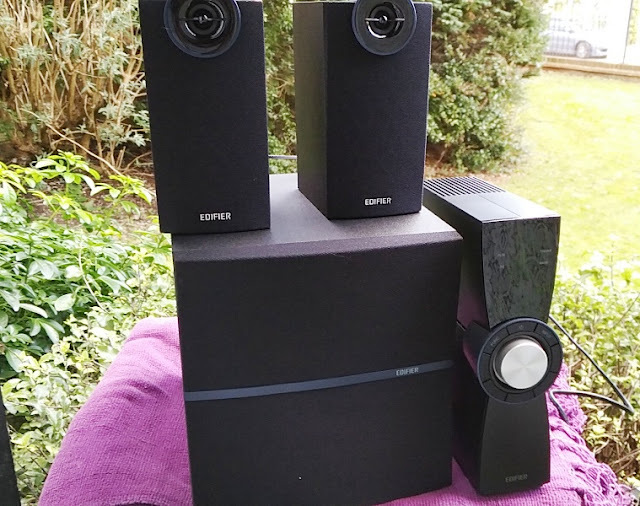 A must have if you're a PC lover or someone who gets most of their media content from their desktop PC is a 2.1 speaker sound system. 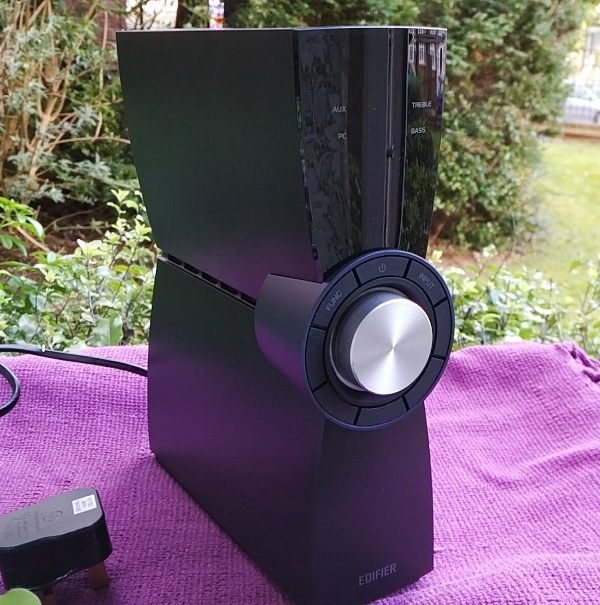 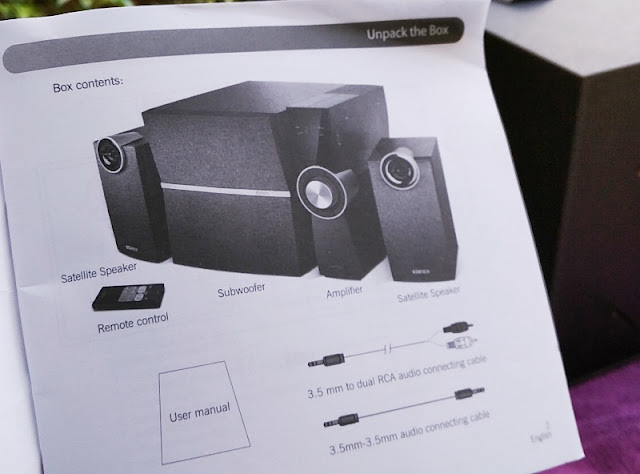 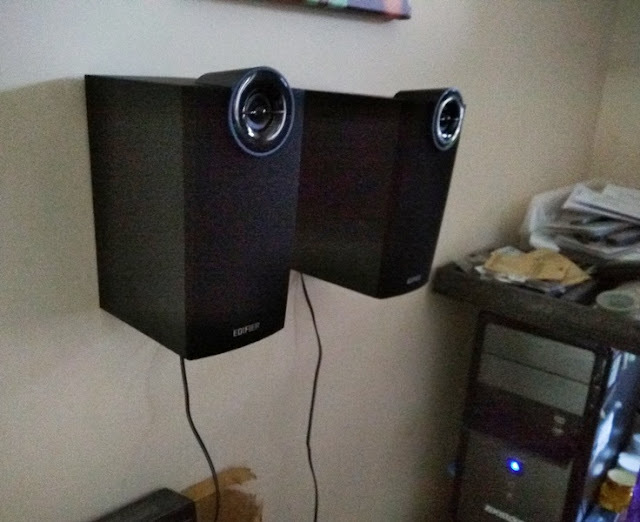 You don't have to spend hundreds on a good sound system for your PC. 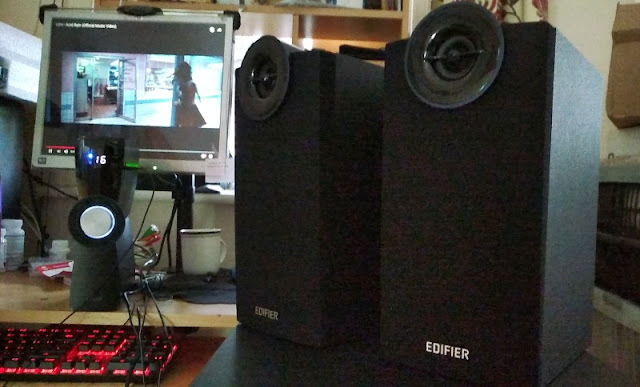 In fact, you can pick up a 2.1 speaker setup like the Edifier C2V quite affordably and fulfill all your media content needs (PC gaming, movies, music, etc). 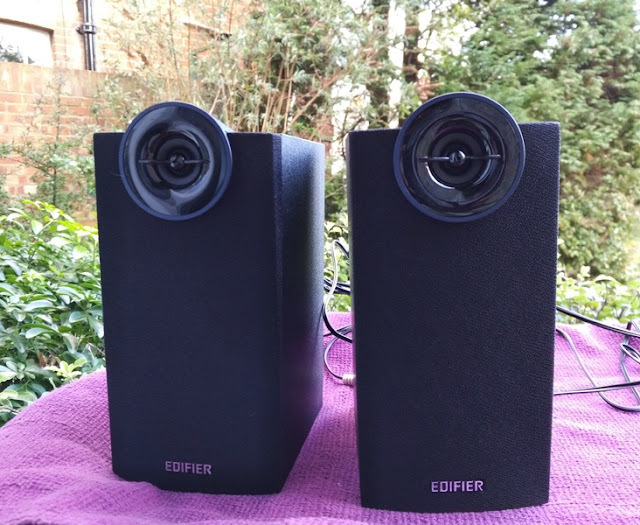 Best thing about the Edifier C2V speaker system is that it comes with a superb subwoofer which really helps to amplify the sound loud enough to fill the room you're in! 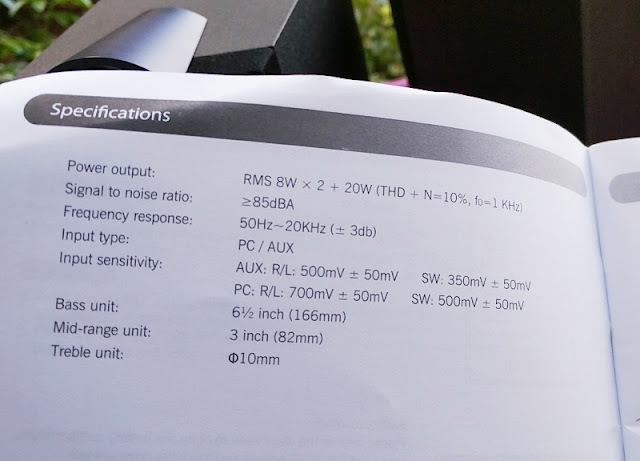 The total RMS rated power of the Edifier C2V 2.1 speaker setup is 36 watts. 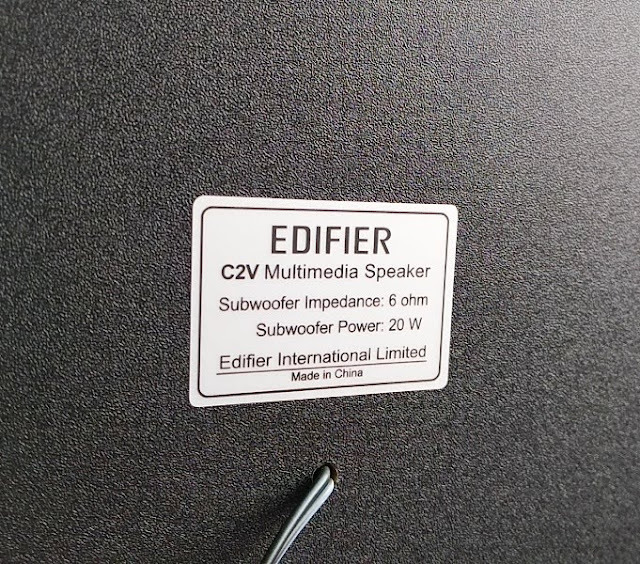 The C2V subwoofer alone outputs 20 watts while the satellite speakers output 16 watts; hence 36 watts total power output which is the maximum output power the Edifier C2V can handle. 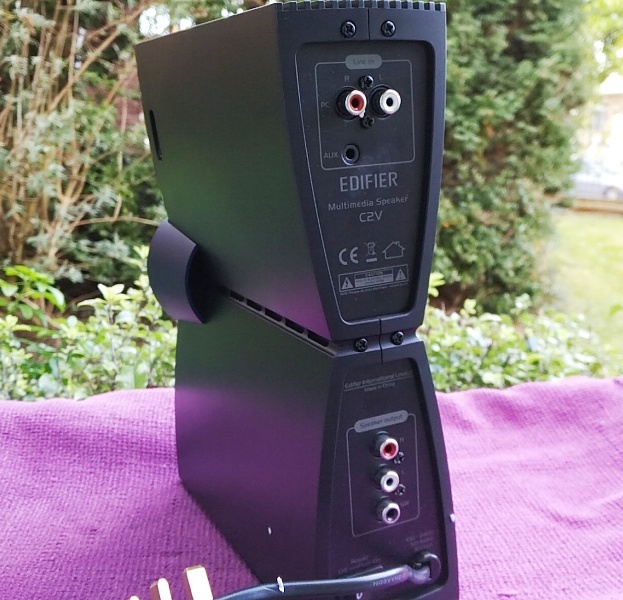 You get two auxiliary (AUX) input jacks, one on the side of the controller unit and the other AUX port on the back of the controller unit. 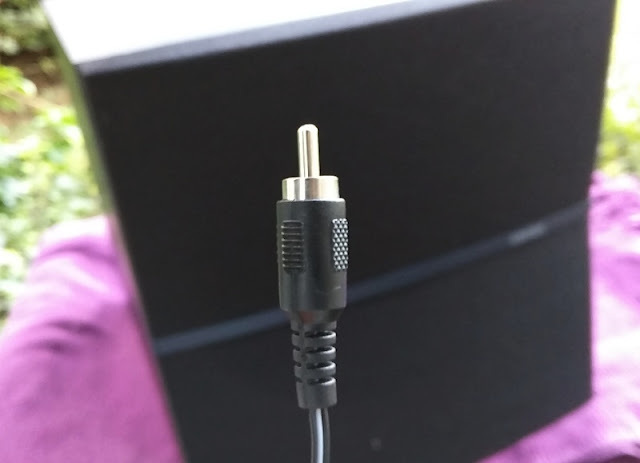 The AUX ports allow you to hook in a 3.5mm male to male audio cable, which is included, to a external sound source like your PC or smartphone. 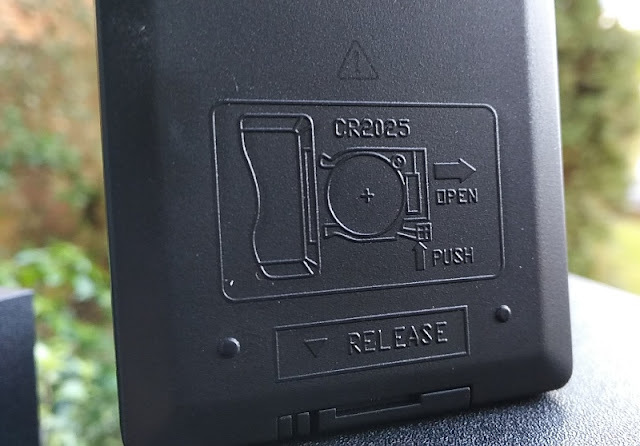 There is also a headphone jack on the side of the controller unit below the AUX port. 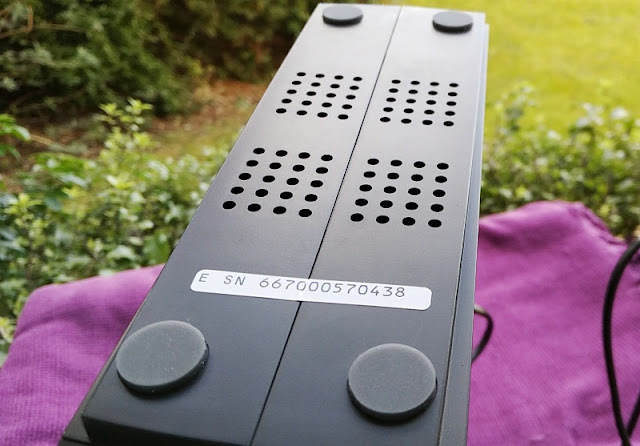 The controller measures 25.5cm high, 22cm deep and 7cm wide (thick), and weighs 986 grams. 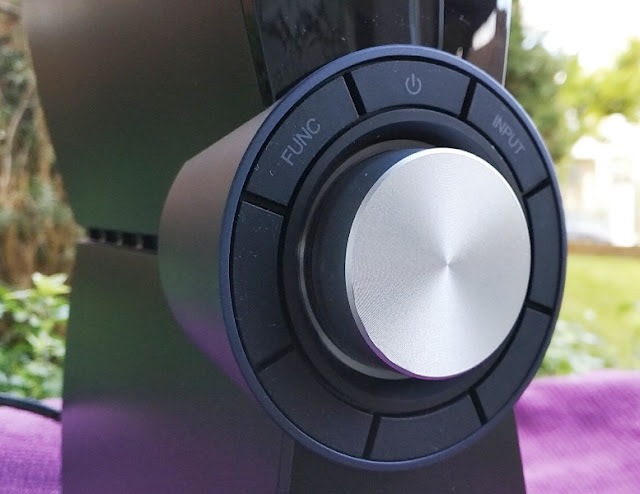 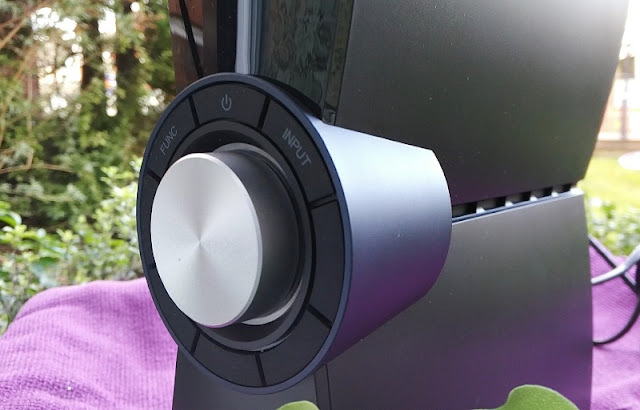 The controller unit features a large silver control knob and three buttons: FUNC (function), Power and INPUT. 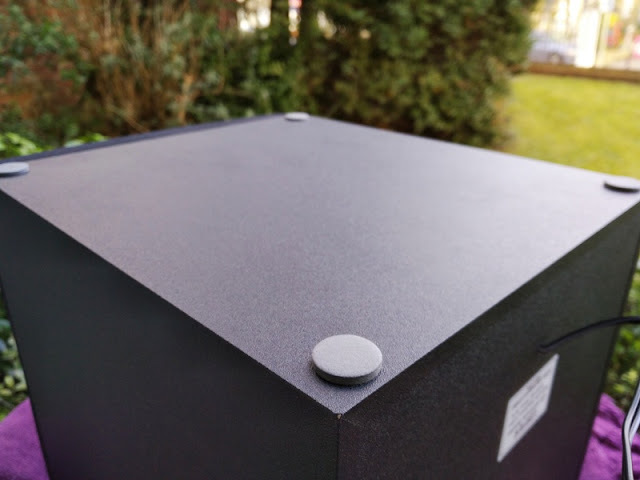 As far as materials, the entire C2V setup has a matt black finish exterior with the controller unit made of plastic while the satellite speakers and subwoofer enclosures are made of medium-density fibreboard (MDF) wood which is more durable and stronger than plywood. 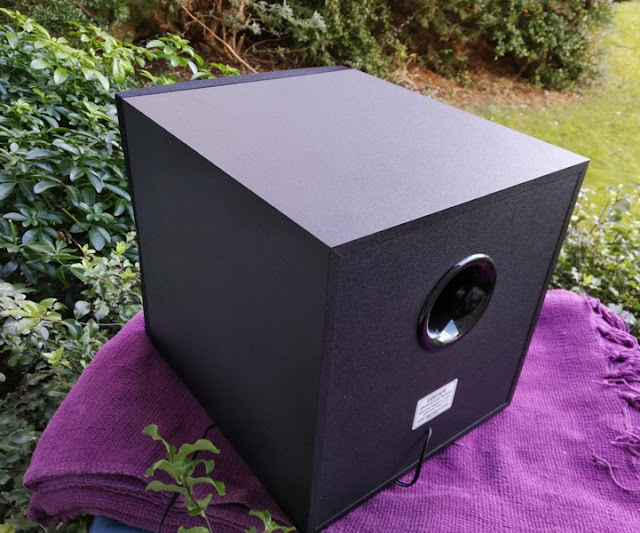 Both the speakers and subwoofer have glossy black/blue plastic accents, as well as cloth fabric wrapped around the speaker grills. 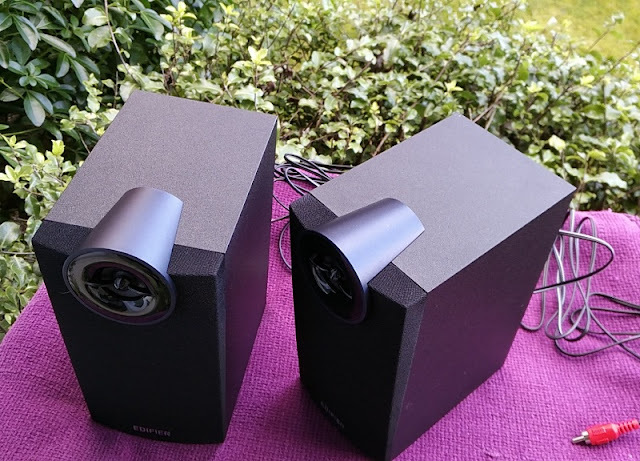 Each satellite speaker has built-in a 0.47-inch tweeter and two 3-inch drivers with 4 ohms impedance (one of the two speaker drivers is for the mid-range frequencies). 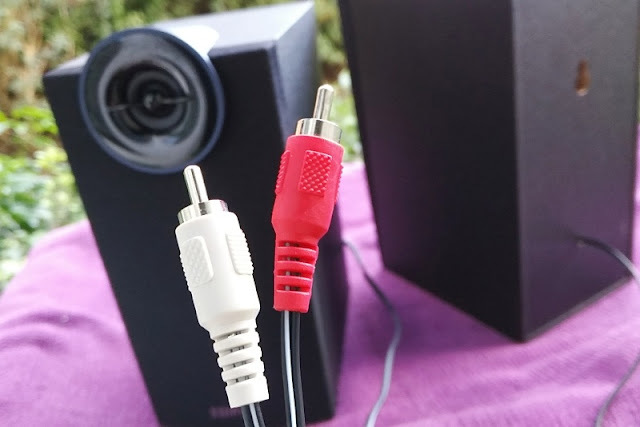 Behind each satellite speaker, you'll find a hole for mounting the speakers on a wall, as well as 226cm-long cables with color coded (red and white) RCA phono connectors (also known as Cinch connectors) that plug into the back of the controller unit. 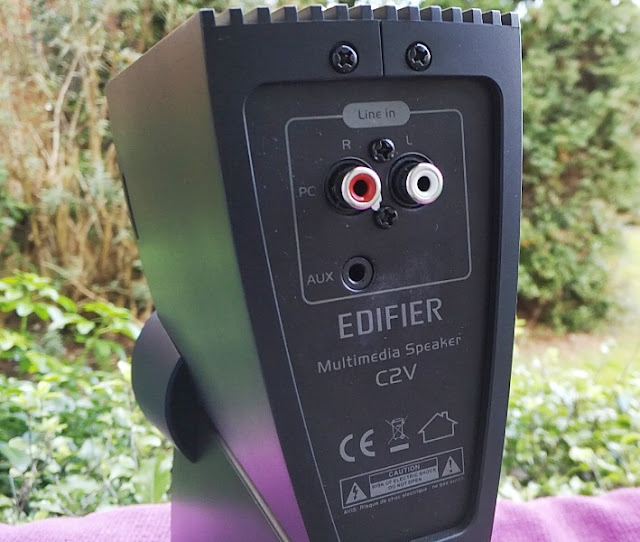 The Edifier C2V satellite speakers have magnetic shielding to prevent image distortions which is great if you plan to put the speakers next to an old-school CRT TV. 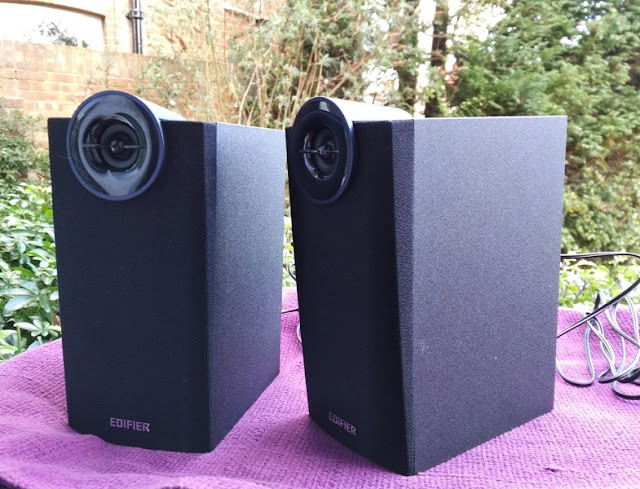 The Edifier C2V speakers measure 20cm high, 13.5cm deep and 9cm wide (thick) and weigh 836 grams each. 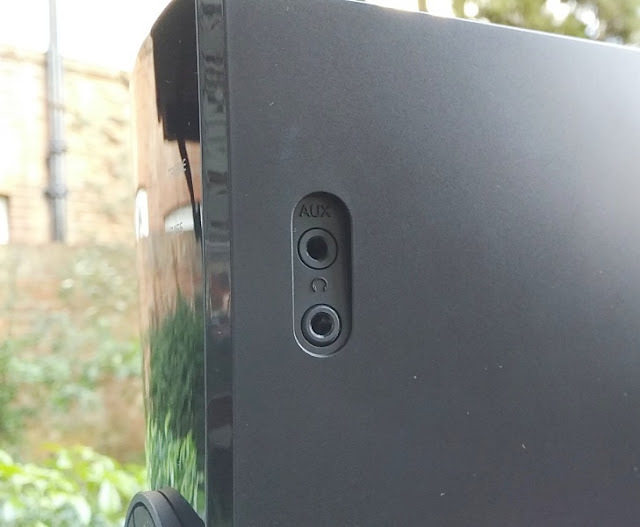 As far as the C2V subwoofer speaker it has a 200cm long black phono connector cable leading out of the back of the unit. 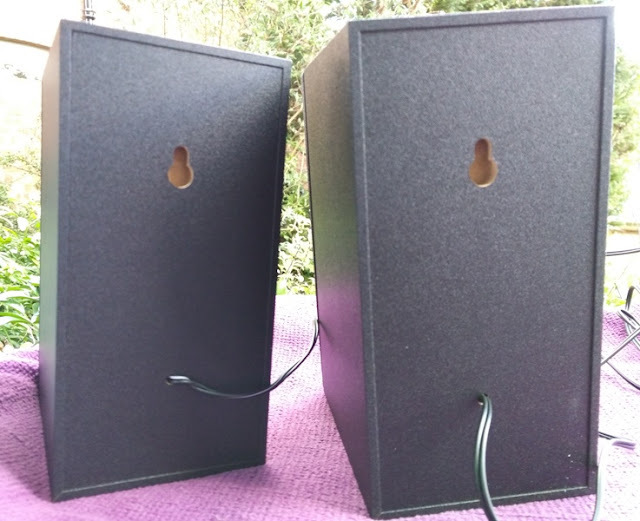 There is also a bass reflex port hole to help with bass frequencies. 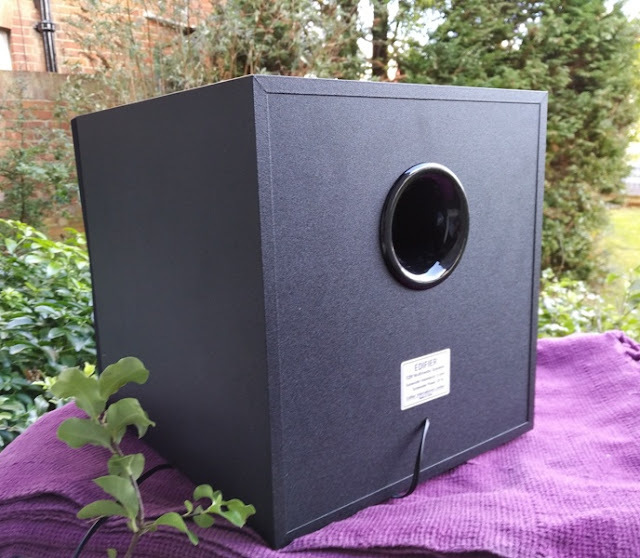 The subwoofer measures 24.5cm high, 27cm deep and 23cm wide (thick) and weighs 4.3 kilograms (kg). 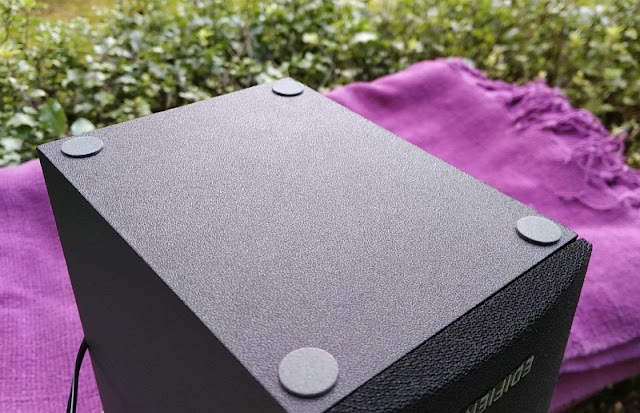 The built-in driver inside the subwoofer is 6.5-inches with an impedance rating of 4 ohms. 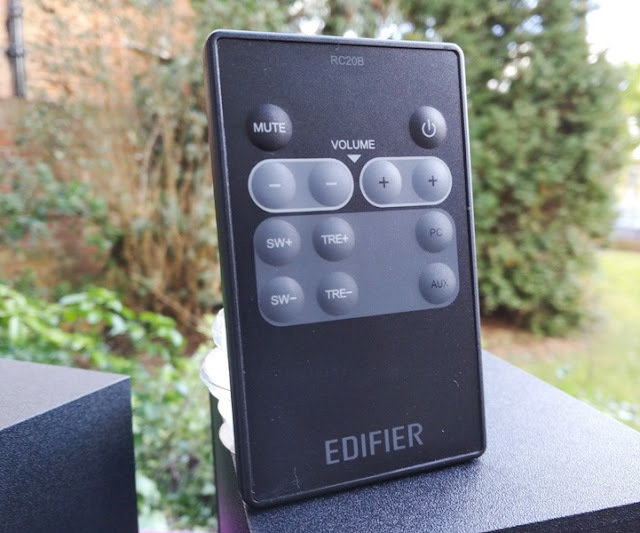 The Edifier RC20B remote control that is included with the Edifier C2V 2.1 Speaker Setup is great as it allows you to the same thing you can do from the controller unit but remotely. 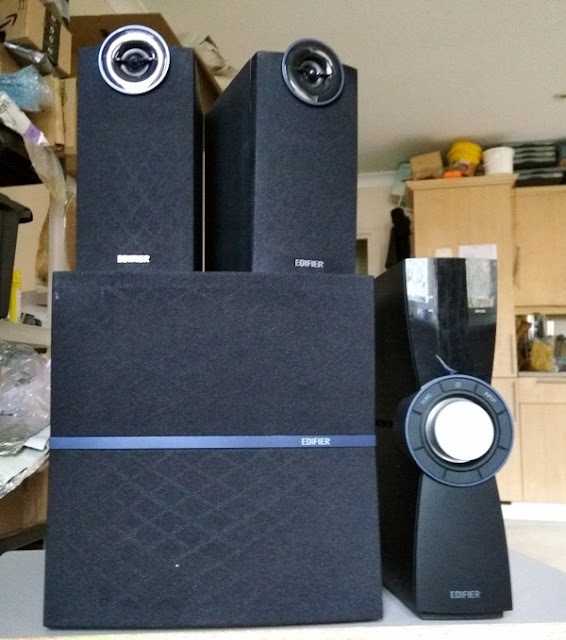 The Edifier C2V speaker system delivers a superb sound with loud enough volume levels. 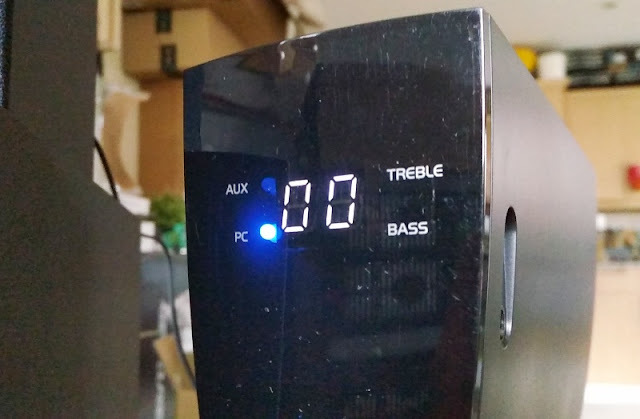 It's great that you can manually adjust the treble frequencies up to 20kHz and the low end frequencies up to 50Hz.